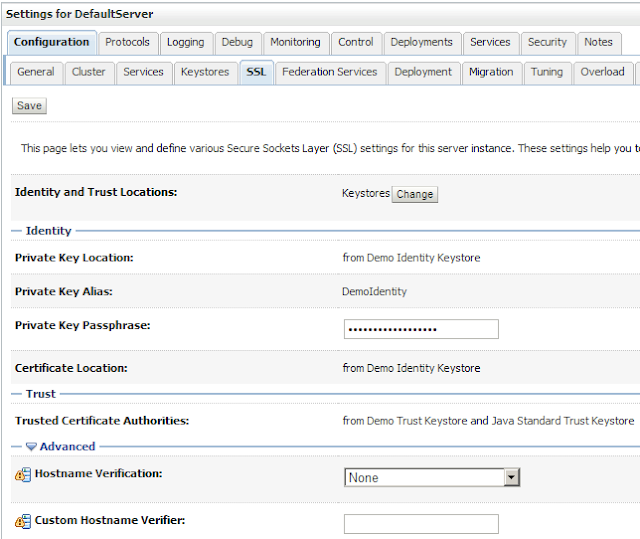 With the IdentityStore framework of Fusion Middleware you can change or create any user or role in almost every LDAP server. 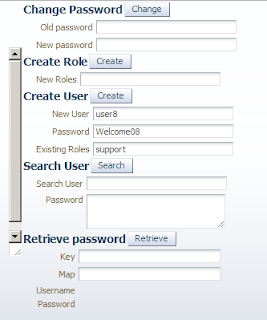 With this framework the authenticated user change their own password from ADF or in your own ADF Admin page you can create an user with its roles without knowing LDAP or know what LDAP server is used. 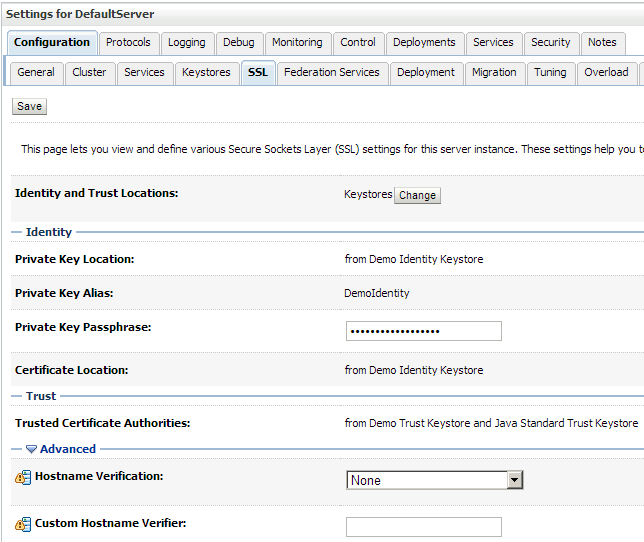 IdentityStore framework will automatically detect the configured WebLogic LDAP servers. 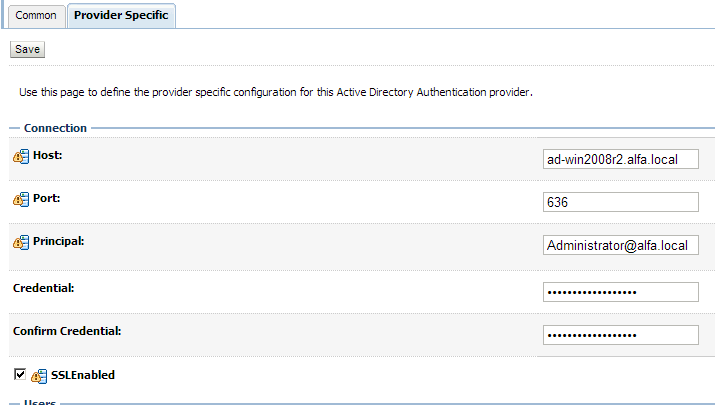 Default is the internal WebLogic LDAP and this is also the first authenticator. 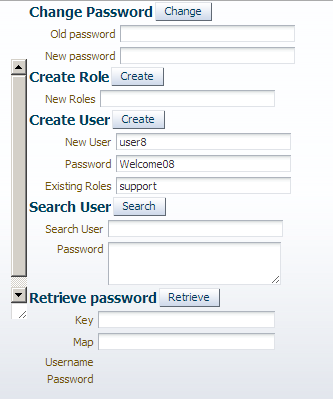 You can also add other LDAP servers like Microsoft Active Directory or Oracle Internet Directory. For this you need to set the virtualize property with true as value to the idstore.ldap serviceInstance entry. 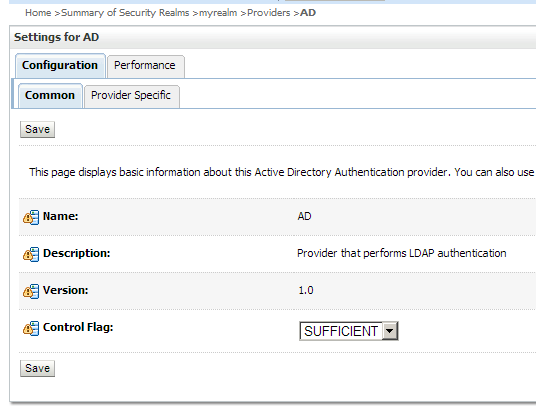 In this case I will set the AD Authenticator as first authenticator and don't use virtualize property, this way I can retrieve all the LDAP attributes and know for sure that new users are created in AD and not in the local WebLogic LDAP. This means we need to configure SSL. 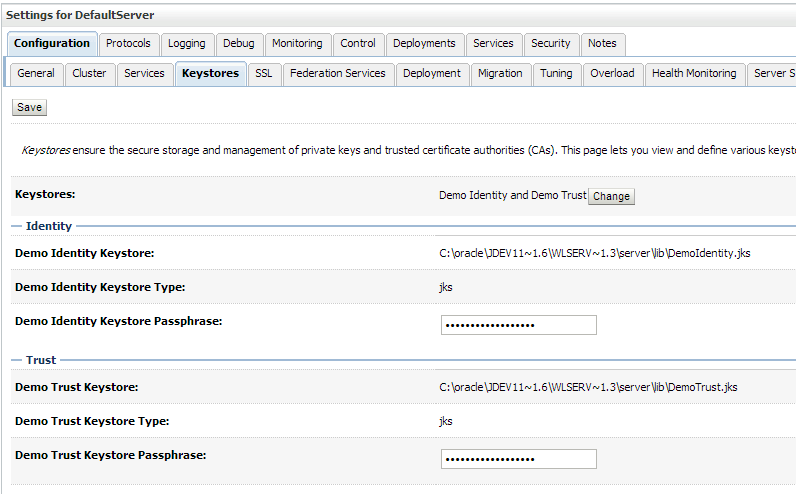 The first step is to import the AD ca key and the AD public key to the local WebLogic TrustStore keystore. We also need to set the Hostname verification to None. 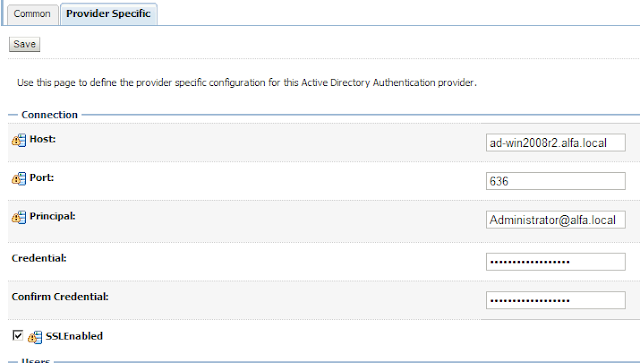 Restart the Weblogic server and check if you can see all the AD users and the AD roles in the WebLogic Console . Here is the code to create an AD User with a password, add an AD role to this user and set the UserAccountControl to 66048.